Discussion in 'TV on DVD and Blu-ray' started by Josh Steinberg, Feb 10, 2019. Jeff Flugel, Gary OS, Flashgear and 1 other person like this. Also, TALES OF WELLS FARGO with Dale Robertson is a good one. It ran 5 years as a half-hour show with a format change in its 6th season making it a one hour show. My favorite half-hour western is Richard Boone's HAVE GUN - WILL TRAVEL. Jeff Flugel, Josh Steinberg, Gary OS and 7 others like this. 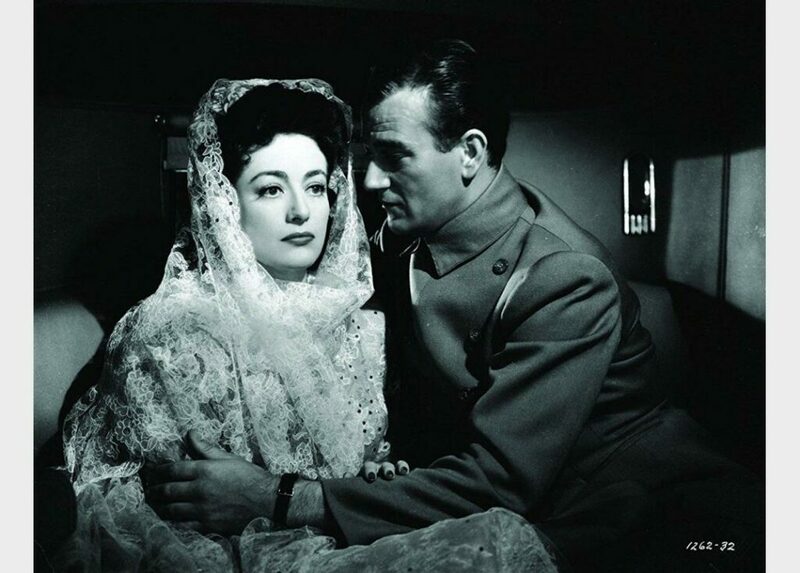 That's one of mine; the other is Wanted: Dead or Alive (w/the late, great Steve McQueen as Josh Randall). Professor Echo, Jeff Flugel, Josh Steinberg and 4 others like this. I'm a big fan of westerns and I agree with the previous suggestions, esp. "Stories of the Century," an excellent show with great guest stars (Lee Van Cleef as Jesse James, Richard Jaeckel as Billy the Kid, Marie Windsor as Belle Starr, Slim Pickens as the Sundance Kid, etc.) and ample use of action scenes taken from Republic Pictures' westerns. The episode on Colonel Quantrill uses footage from Republic's film about Quantrill, DARK COMMAND (1940), which starred John Wayne and Roy Rogers and was directed by Raoul Walsh. An important distinction needs to be made, Josh. You mention liking John Wayne's B-westerns. 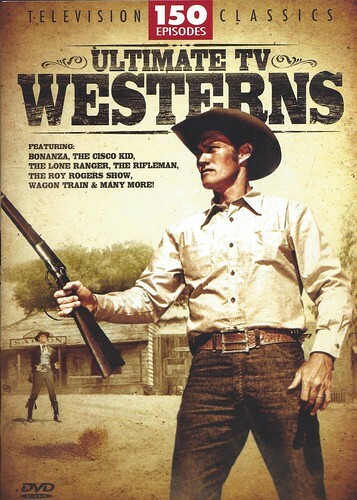 A lot of the early TV westerns were directed by B-western directors, so they had the kind of economy and attention to action that you got in B-westerns. These shows include: The Lone Ranger, The Cisco Kid, The Gene Autry Show, The Roy Rogers Show, Range Rider, Buffalo Bill Jr., The Adventures of Kit Carson, The Adventures of Jim Bowie and many more. Later TV westerns were more focused on drama and, sometimes, social issues and may have had more substantial scripts but were often infinitely talkier. This was esp. true of hour-long westerns like Wagon Train, Bonanza, and Gunsmoke (after it had expanded to an hour). Some good half-hour westerns from this period that managed to strike, for me, the best balance were The Life and Legend of Wyatt Earp, starring Hugh O'Brian, Tales of Wells Fargo, starring Dale Robertson, and Lawman, starring John Russell, as well as the aforementioned Have Gun Will Travel, starring Richard Boone, and Wanted Dead or Alive, starring Steve McQueen. Tales of Wells Fargo featured five future members of the cast of THE MAGNIFICENT SEVEN (1960) as guest stars: McQueen, Charles Bronson, James Coburn, Robert Vaughn and Brad Dexter. One of the final episodes of The Life and Legend of Wyatt Earp featured the most accurate screen dramatization of the gunfight at the O.K. Corral ever. Jeff Flugel, Josh Steinberg, Gary OS and 5 others like this. I agree, early 50s TV westerns are the best action and stunt wise. Especially, The Range Rider. Mill Creek had four of those 150 episode sets and reissued them often, with different cover art, and also in 300 episode editions. Mostly half-hour shows but some hour long ones too. The set titled, Western TV Classics-150 Episodes has multiple episodes, each, of , Buffalo Bill, Jr.-11, The Cisco Kid-22, The Range Rider-12, The Roy Rogers Show-15, Stories of the Century-21, and other shows. Bat Masterson, Tombstone Territory, and Yancy Derringer are lots of fun. I think the only half-hour western on Blu-Ray is, The Californians, available as a CBS-Mod, exclusive from Amazon/Create Space. It's a good enough show but kind of set bound. Jeff Flugel, Josh Steinberg, Flashgear and 3 others like this. Can't go wrong with most 1950s/ 1960s half-hour TV westerns, Josh! Have Gun- Will Travel (pound for pound one of the best western series ever made), The Rifleman, Wanted: Dead or Alive, The Texan, Bat Masterson, The Rebel, Tate, Yancy Derringer (lots of great action in this one, though it's more of an "Eastern"), Lawman, etc. Plus the earlier ones that Brian and Bob mentioned (The Lone Ranger, The Cisco Kid, et al). Let us know which one(s) you decide on and what you think of it. ChrisALM, Josh Steinberg, Gary OS and 4 others like this. Bert Greene, Jeff Flugel, Darby67 and 2 others like this. Have Gun - Will Travel stands above everything else, imho. The Rifleman is a fine choice as well. There are many great half-hour westerns, a number of which have already been mentioned, so I won’t repeat them. But trust me, HGWT is the very best of them all. Gary “no other genre is as beloved by me as the half-hour western” O. Professor Echo, Bert Greene, Jeff Flugel and 4 others like this. Guys, this is all wonderful, and thank you for the suggestions. I’d also like to amend my original post to say that if you’d like to recommend your personal favorite half hour western series (as opppsed to just ones that like the John Wayne b-movies), I’m all ears. I'm not a big fan of westerns, but I do love The Rifleman. Must be because of Chuck Connors, and the father/son relationship. "Stay tuned for scenes from our next episode." Flashgear, Jeff Flugel, Darby67 and 1 other person like this. If you're looking for a great half-hour Western I think Gunsmoke is the best, though HGWT comes a close second. And I think the parallels to John Wayne would make Gunsmoke a great choice. James Arness as Matt Dillon can do so much with a look, a sigh, a pause. Even when he doesn't speak, you know he means business, He gives the bad guys just enough rope to do themselves in. And when he does speak, you listen. To me, that perfectly describes the best John Wayne westerns as well. All 20 seasons of Gunsmoke are great, but the first six seasons at a half hour each are the best because Marshall Dillon is always in the middle of the action. No matter the storms that rage around him, you always know he will work it out in the end. Randy Korstick, Bob_S., Professor Echo and 8 others like this. "She always does that, she just wanders away"
Bob_S., Flashgear, Jeff Flugel and 1 other person like this. 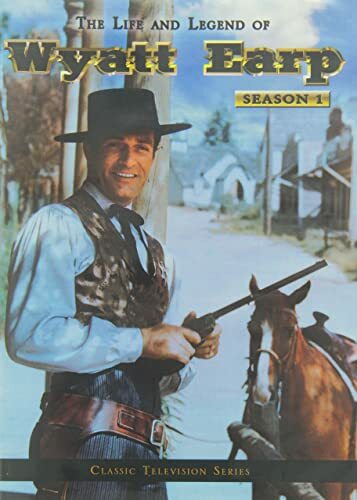 I'm most intrigued by Gunsmoke and Have Gun Will Travel, so I will probably look to see if I can find a pilot for each to stream, and then make a decision based on that. And at some point I'll try to sample everything else that's been recommended too! I've spent the last few years working my way through the original Adventures Of Superman, M*A*S*H and one or two other half hour shows, and I'm just a couple episodes away from wrapping them all up. I've really enjoyed having something from that era as my last "before bed" watch and I'm thinking either or both of these western shows will fit perfectly in that old slot. Flashgear, Gary OS, Jeff Flugel and 1 other person like this. Really? No one's going to suggest The Life and Legend of Wyatt Earp? The entire show has now been released on DVD however the season sets are extremely pricey. Randy Korstick, Flashgear, Jeff Flugel and 1 other person like this. I mentioned The Life and Legend of Wyatt Earp in Post #4. Don't think you can go wrong with either of those two picks, Josh! Gunsmoke was a half-hour show for its first 6 seasons. While it's not my personal favorite western, it is undeniably a quality show all the way round. There's a S1 - S4 DVD collection that's going for $45 on Amazon right now. That would set you up for some good pre-bed viewing for a long while. Ditto Have Gun - Will Travel...all 6 seasons (225 episodes) can be had for $48. It's a show that stays consistently good throughout its entire run. It might help to decide what kind of format you prefer, one focusing on a single male character who travels around the country (HG - WT) or one based around an ensemble of characters who mostly stay in one place (Gunsmoke). If you like a lot of exterior location filming, HG- WT is the best choice. Gunsmoke does sometimes get out on location, but is more of a set-bound show. Dennis Weaver is a real scene-stealer in that series, though. Hmm...better just get 'em both! Bert Greene, BobO'Link, Flashgear and 3 others like this. Have Gun Will Travel or The Rifleman are great shows and are among my favorite western series growing up. Also, Wanted Dead or Alive is another one. BobO'Link, Flashgear, Jeff Flugel and 1 other person like this. Ditto Have Gun - Will Travel...all 6 seasons (225 episodes) can be had for $48. Its a show that stays consistently good throughout its entire run. Thanks for a wonderful breakdown of the two shows - I think I’m sold on both based on the descriptions and price. Might be nice to alternate both. Will do some further research but this is wonderful! I was never a big fan of Gunsmoke. I'll watch it, but I wasn't a devoted fan in which I watch it every week. BobO'Link, Jeff Flugel and Josh Steinberg like this. I didn't watch the first six seasons of Gunsmoke as it was a little before my time. When I started watching it was an hour long show. By that time, I was into Wagon Train, Rawhide and Bonanza. I do have the first seven seasons on DVD. I've never watched any of them so perhaps I'll give the first six seasons a chance to see if that half hour format is more to my liking. Flashgear, Josh Steinberg and bmasters9 like this.